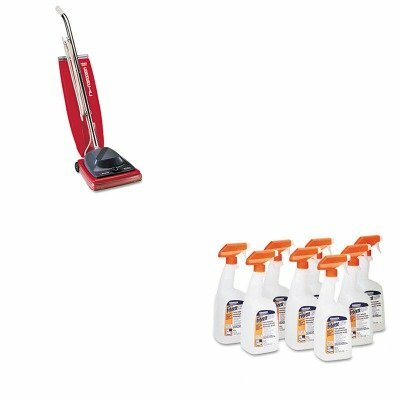 KITEUKSC684FPAG03259CT - Value Kit - Febreze Fabric Refresher amp;amp; Odor Eliminator (PAG03259CT) and Commercial Vacuum Cleaner, 16quot; (EUKSC684F) by Febreze at Blog Free Here. MPN: EUKSC684FPAG03259CT. Hurry! Limited time offer. Offer valid only while supplies last. lt;stronggt;PAG03259CTlt;/stronggt;lt;BR/gt;Febreze Fabric Refresher amp;amp; Odor Eliminatorlt;BR/gt;Cleans tough odors, doesn't cover them up. lt;stronggt;PAG03259CTlt;/stronggt;lt;BR/gt;Febreze Fabric Refresher amp;amp; Odor Eliminatorlt;BR/gt;Cleans tough odors, doesn't cover them up. Apply directly on fabric once fabric dries, smell is gone for good. Eliminates food and smoke odors on virtually all fabrics. Scent: Fresh Clean Physical Form: Liquid Application: Fabric Capacity Volume: 32.000 oz.lt;BR/gt;lt;BR/gt;lt;stronggt;EUKSC684Flt;/stronggt;lt;BR/gt;Febreze Fabric Refresher amp;amp; Odor Eliminatorlt;BR/gt;Help eliminate germs and dust from your workplace, business or home. The Micron Filter system retains up to 99% of pollens and dustgreat for the hospitality industry where high standards of cleanliness need to be maintained at all times. Utilizes the spiral design of the exclusive Vibra-Groomer II brush tool that produces an effective wave action, vibrating and subsequently capturing deeply embedded dirt. Vibra-Groomer II has chrome steel ball-bearing brush roll, with replaceable bristle strips and is lifetime lubricated. Provides users with a range of cleaning options with the six carpet settings. Current: 7 A.